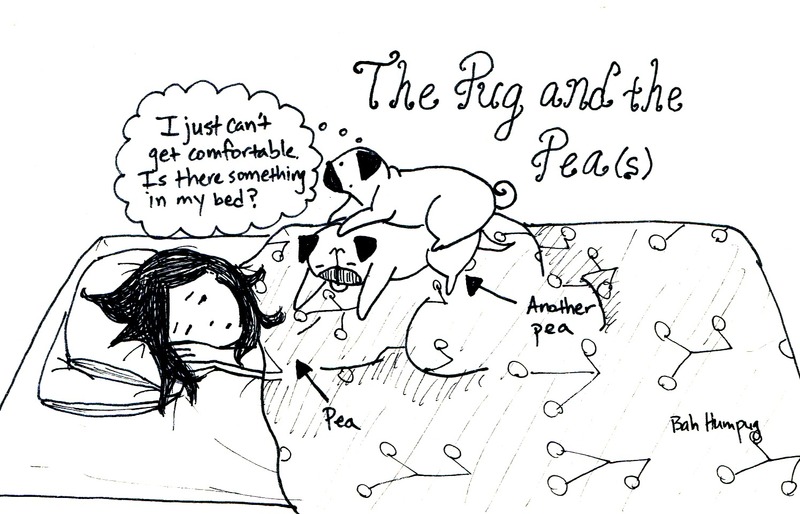 It's been a while since I did a pug spin on a fairy tale and so here's a new one - The Pug and the Pea(s), based on The Princess and the Pea! 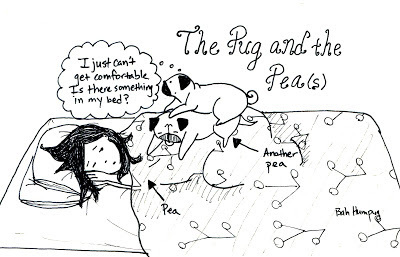 Sadly this is not based on reality for me since Sunny and Rosy are still not that cuddly with each other. But they both love sleeping on top of me, whether it's an arm, a leg, or a foot.